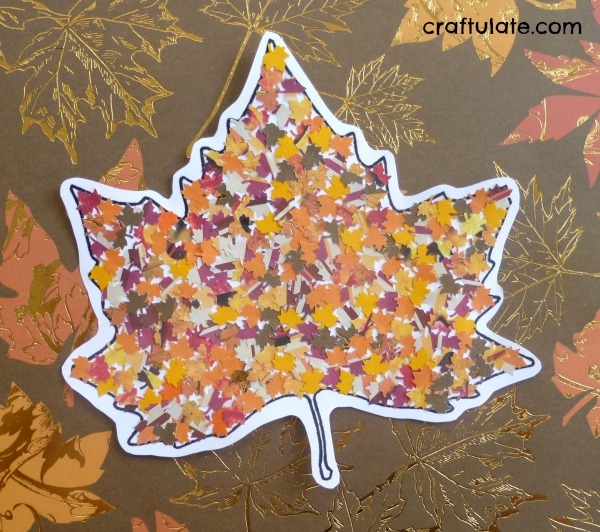 *I used a mix of plain paper and scrapbooking paper (there are some lovely colors in this Hello Fall collection), but you could also use cutouts from magazines or scrap paper. 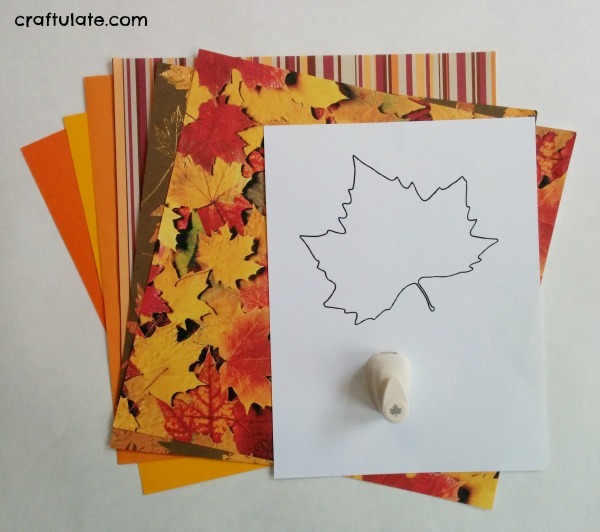 I printed out a maple leaf outline that I found on Clker – although you could draw one instead. 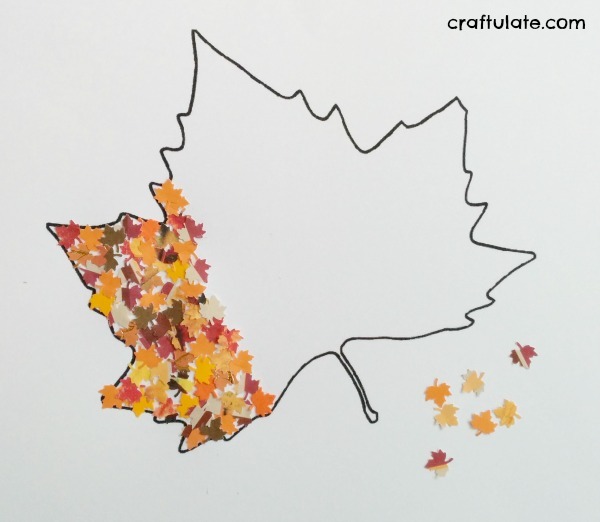 NOTE: Since writing this I have added some leaf outlines to my Craftulate Shop! 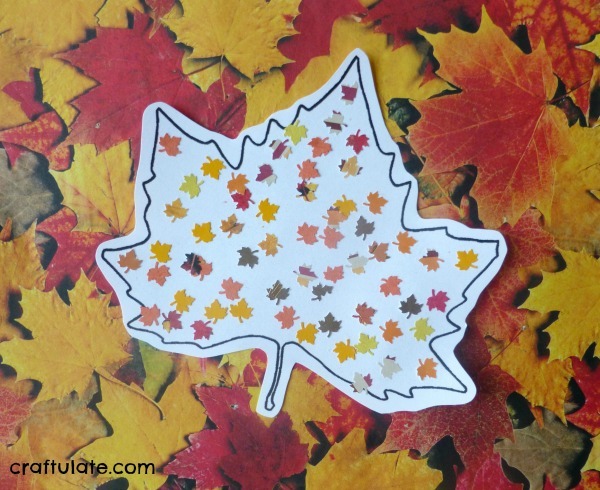 I started punching out leaves from the various different paper. 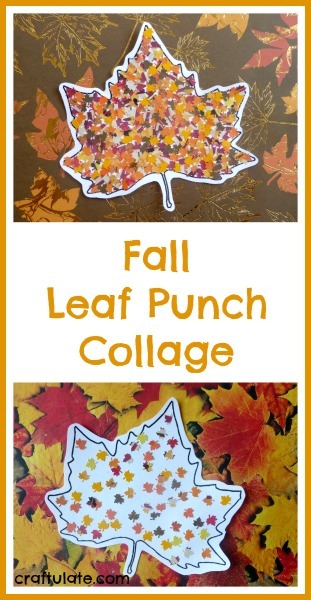 The leaf punch was super tiny, so it took a LOT of leaves to fill the leaf outline. But I love the finished result! 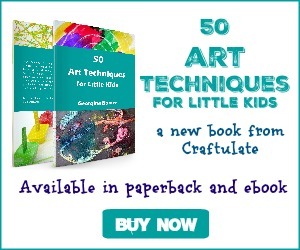 However, for F to try this I knew that I needed a bigger punch, a smaller outline, or accept that he probably would get bored before he filled the whole thing. I went with the last option! 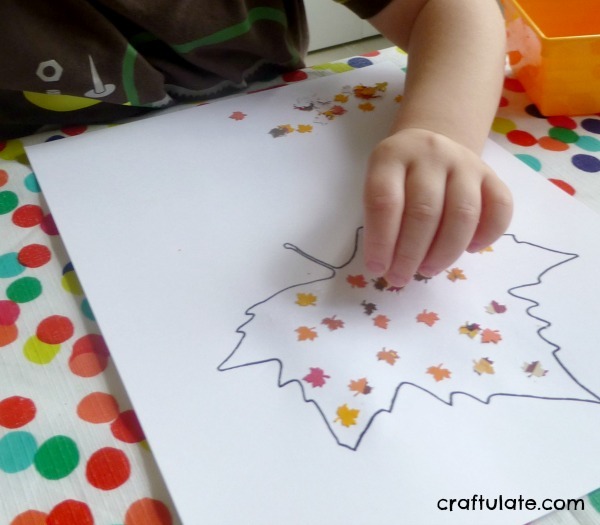 In fact he was very happy punching out leaves, and probably did about 40! 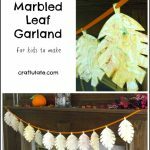 I applied a glue stick to the inside of the leaf outline and F carefully placed all the punched leaves. As predicted, he didn’t fill the outline but that’s OK – I like his version too! 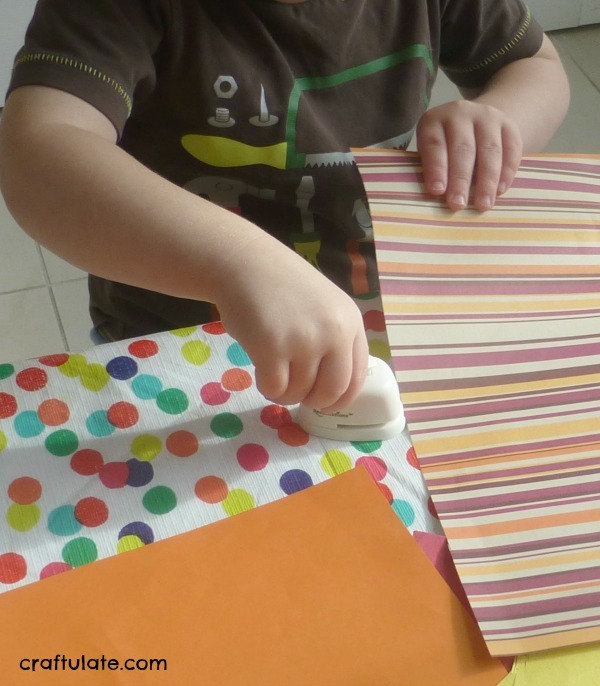 This collage activity worked on three different fine motor skills – hand-eye coordination to get the paper in the slot of the punch, hand strength to operate the punch, and pincer grasp to pick up those fiddly little bits of paper! Very cute! Last year we did paper punched Indian Corn! 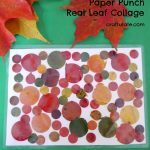 Paper punch activities are quite fun! I love this! He is so good with those punches! 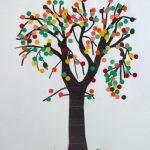 Fall is my favorite season so I love the colors in this too! Oh, I love this!! Please come share at Sharing Saturday this week!! I love this idea. 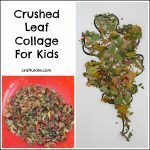 The fall colors and texture on the leaves are beautiful. I just pinned this to my Fall board. Please share this on Artsy Play Wednesday when you get the chance.